Google has officially launched the Rival of Siri Voice Assistant with the name of "Google Voice Search" for iPhone, iPad and iPod Touch devices. Now Apple iOS users can actually experience fastest and most accurate Voice Assistant technology with Google. Apple's Siri Voice Assistant is most comprehensive tool for iPhone, iPad and iPod Touch but one should know that Google with its fast and most accurate voice recognition technology enables Google to understand exactly what you’re saying and asking. Google's Advanced Voice Assistant tool has been on Android since the launch of Jelly Bean and now Google is offering its technology as a Rival of Siri Voice Assistant from Google. Apple iOS users including iPhone, iPad and iPod Touch can launch the Google Voice Assistant App, and tap the microphone to ask anything such as Maps Direction, Weather Updates, News and Sports Updates, Flight Information, Event times and Updates, Street Directions; in-short any question you would like to ask; thanks to Google's Knowledge Graph, and even users can actually ask and request to Google Voice Search for any movie trailers such as "Play me the trailer for the latest Bond movie" and The trailer will starts playing immediately right within Google Search. 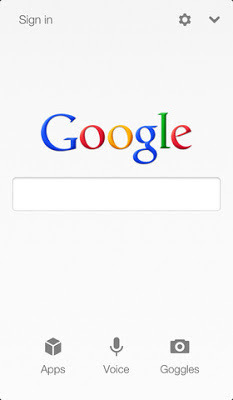 The Google Voice Search App also provides the normal Google Search Results below the information when a user asks for it.